Locally known as Vinta in the Philippines and also a traditional boat found in the Philippine island of Mindanao. These boats are made by Bajau and Moros lining in the Sulu Archipelago. It has a sail with assorted vertical colors that represents the colorful culture and history of the Muslim community. 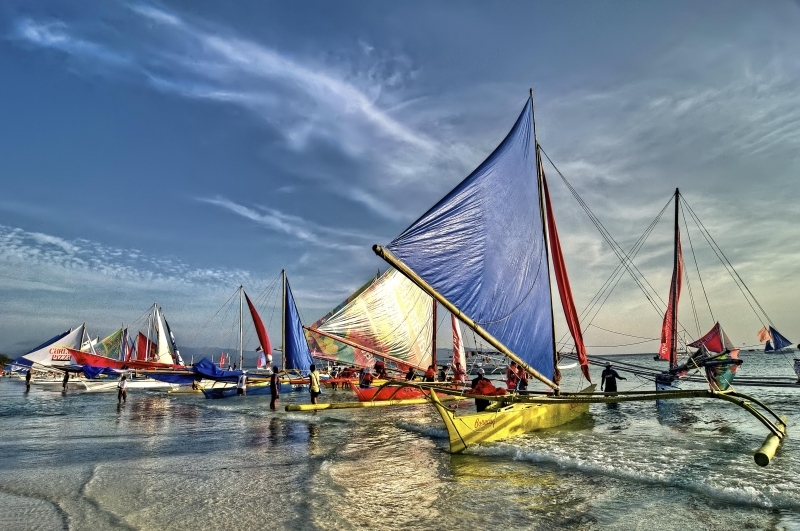 To promote tourism the official of Boracay had adopted these boats to promote the beauty of our transports.